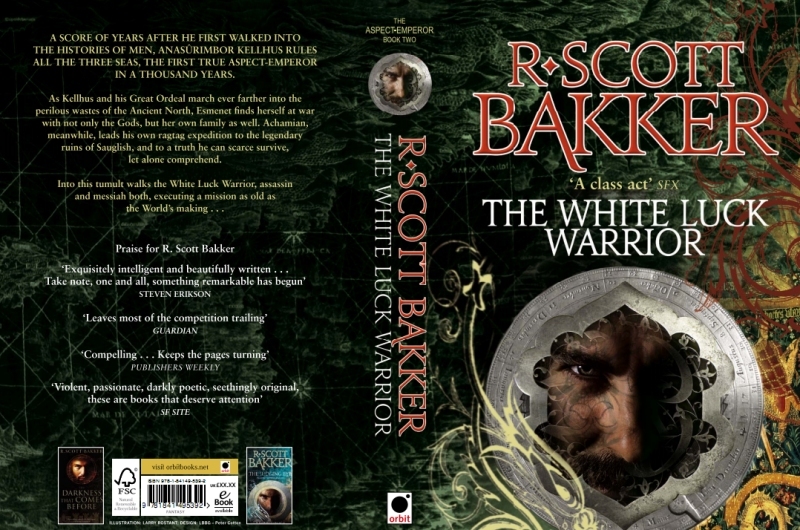 The White-Luck Warrior Cover (R. Scott Bakker) | The Cesspit. I continue to like much better the old cover style. This one would be actually very nice if they only entirely removed that pointless face. There’s a great cover hidden behind. Original is on Bakker own blog.